John Noble is a senior labor representative with the firm and joined what is now Rains Lucia Stern St. Phalle & Silver at its inception. He works primarily in the firm’s Collective Bargaining Practice Group. He has many years of experience, both as a union member and as a professional, negotiating and enforcing collective bargaining agreements as well as representing peace officers and firefighters in grievance and disciplinary matters. John Noble served as a police officer for twenty-eight years. 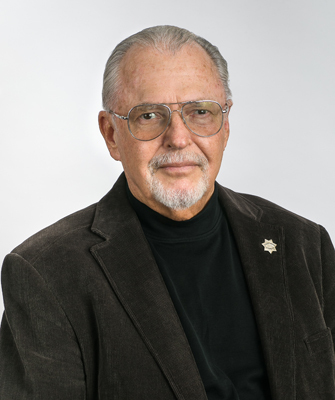 He began his career in 1969 with the Long Beach Police Department and eventually retired in 1997 from the Santa Rosa Police Department. He served on the Board of Directors of the Santa Rosa POA for nearly his entire tenure there, holding various Board positions, including President, Vice-President and Treasurer. John also was active in the Northern Chapter of PORAC. John has taught extensively in the PORAC Collective Bargaining Courses. John received his Bachelor of Science Degree from California State University at Long Beach. He also completed the Labor/Management Relations Certificate Program at the University of California at Davis.